If you are looking to escape, to disappear for a few days, Russell is the place. 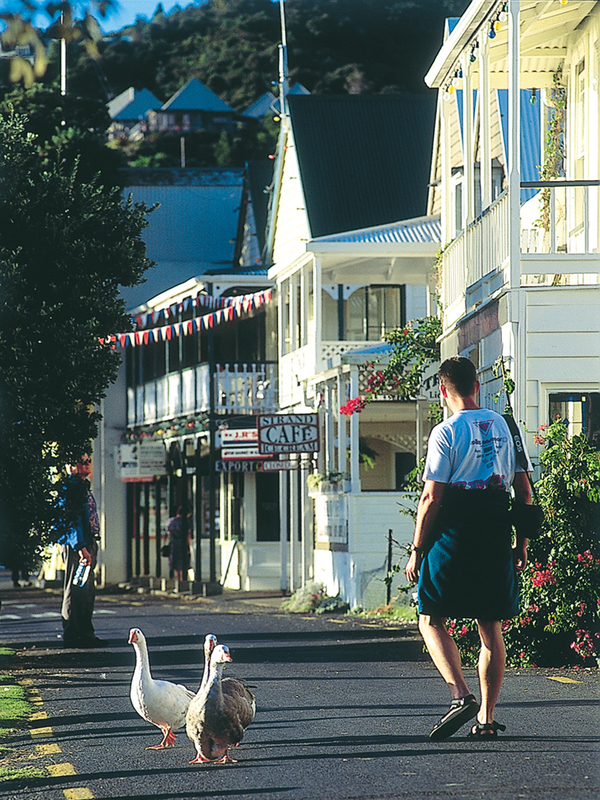 New Zealand’s first capital, though you could be forgiven for not believing it, Russell is a small town on the shore of the Bay of Islands that simply oozes charm. History is everywhere, culture is unavoidable, and for utter peace and relaxation, nowhere comes close to Russell. Often referred to as ‘Romantic Russell’, the scenery, pace of life and timeless charm of the town will ensure that your mind will forever drift back to Russell, long after you have left. Russell’s location is almost as big an attraction as the little town itself. Set on the forgotten shore of the Bay of Islands, a short ferry from the area’s activity hub, Paihia, accommodation in Russell is ideally located for taking advantage of the wonderful walking and cycling along the coastline. The new Twin Coast Cycle Way is a very popular way to discover the coast, passing through ancient forest, hidden towns, and along some of the most spectacular viewpoints across the sea. Local walking and cycling trails take you to a surprising range of landscapes in a surprisingly short time, from Waitangi to the Kauri Forests of Northland. With numerous daily ferries making the short journey to Paihia each day, the whole of the Bay of Islands is at your disposal. Paihia is the hub for exploring the Bay of Islands and all the treasures that it holds. The Bay of Islands is especially famous for the dolphins. There are a number of large pods that call the bay home, and each day, dolphin cruises take to the Bay in search of the animals. The Bay of Islands is one of the most beautiful places to fulfil a lifelong dream and swim with the sea’s most intelligent creature. Kayaking is an unbeatable way to explore if you have the time, letting you slip silently past nature, exploring the nooks and coves that only a kayak could navigate, allowing you to find that elusive hidden beach, where you can soak up the sun in absolute peace. Russell is a thriving town, steeped in the history of early European Explorers, Whalers and the first European settlers. Those with a keen eye can pick pieces of history from every corner, and the town has all the amenities that you would possibly want for during a Russell holiday, without taking away from the timeless charm that the town has become renowned for. After a long day in the open air, Russell is the perfect place to retire in the evening. Littered with a range of restaurant and bar options, ranging from hearty fare to gastronomic excellence, (fresh fish from the Bay of Islands and award winning white wines from the surrounding vineyards combine to perfection on a warm summer’s evening), ‘foodies’ are in paradise. Plenty of live music can be found in the town, with frequent jazz nights throughout the summer, as well as live bands at the Duke of Marlborough against a perfect backdrop.